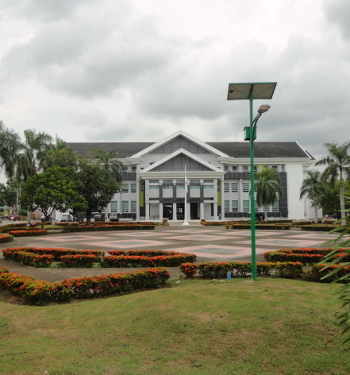 Syiah Kuala University (Unsyiah) is the oldest public university in Aceh. Standing on September 2, 1961 by Decree of the Minister of Higher Education and Science Number 11 of 1961, dated July 21, 1961. The establishment of Unsyiah confirmed by Decree of the President of Republic Indonesia, number 161 of 1962, dated April 24, 1962 in Kopelma Darussalam, Banda Aceh. Unsyiah domiciled in the capital of Aceh province with the main campus located in the city of Students (Kopelma) Darussalam, Banda Aceh. Currently, Unsyiah has more than 30,000 students studying in 12 faculties and the Graduate Program. As one of the higher educational institutions, Unsyiah have a strategic functions in enhancing the quality of human resources, both for local, national and regional levels. As university of the heart of Aceh People’s which quality as priority, Unsyiah integrating universal values, national, and local levels to deliver human resources with harmony in between science and technology (IPTEK) and IMTAQ. The balance between them is become a main component in producing quality of human resources, virtuous character, ethics, aesthetics and morality. Beginning with the establishment of Aceh Welfare Fund Foundation (YDKA) on April 21, 1958, which was formed to conduct the development of spiritual and physical sectors in order to create welfare and happiness for the society. YDKA develop programs include: (a) Establish the student city in the capital of province and in every district in Nanggroe Aceh Darussalam Area, (b) Promote the establishment one University for Nanggroe Aceh Darussalam. 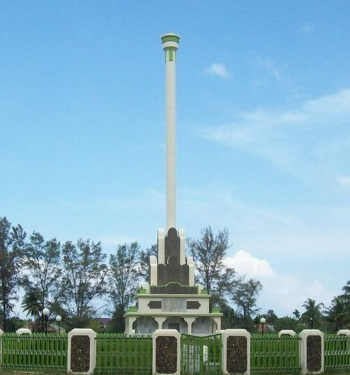 Similar with the idea, dated on June 29, 1958, The ruler of Aceh War formed COMMISSION PLANNER AND CREATOR OF STUDENTS CITY. The Commission which was seen as siblings of YDKA has a duty as commission creators, thinkers, and the inspiration for YDKA, so the commission is seen as a major capital construction of student city.